These mind control tips help you to overcome despair and choose joy. When negative events cause anger or fear to dominate your thoughts, despair can overwhelm you. Tensed muscles and neurohormonal changes connect your mind to negative data, while inhibiting links to positive thoughts. Despair points to the massive pain in the world. Terrorism, racial disharmony, economic disasters, pollution, over population, corruption, criminal politics. As an awful future appears inevitable, a feeling of fatigue stops any effort to regain normalcy. This is exactly the situation, which demands effective mind control to switch the focus of your mind to joy. You can do it with surprising speed. Both despair and joy are reasonable viewpoints. They are merely conclusions, supported by conflicting choices of facts. Joy chooses a new set of facts. Music, the arts, good food, creative work. The incredible beauty of the world. The gift of life. Stories of humanity's love, generosity and kindness. Joy will open convincing reasons to justify itself. You will not need to search for the evidence. Why harm your health and happiness? These tips will switch the focus of your mind to joyful views. Reach a peaceful and creative state of mind, by following some physical exercises and tracking your patterns of thought. Follow this practical route to a better life! Do you realize the extent to which your emotions control your life? An aggressive driver, or a summons to the executive floor can suddenly change your world view. Your moods surge into anger, or dive into despair, within moments. You are being helplessly tossed between changing emotional signals. Use the logic of the pattern sensing mechanism of your mind to take charge of your life! The RI level of your mind has a rational perspective of the world. Use the Self Improvement Plan to have a plan for your life. Know that it is possible to achieve the RI perspective. Learn how to relax your muscles quickly. Learn to swiftly still your visceral responses. Use the power of breathing to quiet your emotions. Use self awareness to instantly still the onset of emotional turmoil. Trust the creativity of your mind. Joy is a natural process. You don't need to work at it. It enters a still mind. Get back in charge! 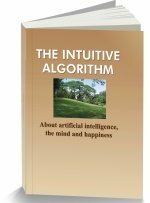 With effective mind control, you experience life through a pure and rational intelligence, which calmly observes misfortune, or defeat. You don't need to keep repeating "no need to worry." A cool view will appear to be completely normal. Your mind will learn to see the usual vexations in life as just events. Once your mind experiences this attitude to life, it will rarely go back to its original troubled views. The rest is easy. Peace does not drop in suddenly into a troubled mind. Much of your problems lie in your subconscious. Hidden search drives within you seek solutions to a missed deadline, or an unexpected pink slip, visualized by the different emotional subsystems within you. Such searches go on, while you look at a lunch menu, or chat with your friend. But, when those subconscious searches encounter the painful results of failure, visceral reactions hit you. You may not even be aware of the causes of your discomfort. At the outset, these troubling searches have to be stilled. Have a plan, which clearly faces (not solves) the major problems in your life. 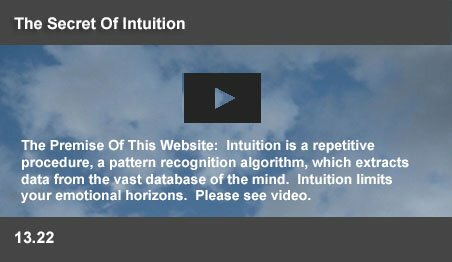 This website offers you a self improvment plan, which unite the different levels of your consciousness to agree to an acceptable life plan. Your urgent search drives will then become still. Anger, or fear signals are triggered before you know it. Act to reduce the possibility of their being triggered. During the course of a day, stressful events as well as poor postures will tighten many of the 60,000 muscles in your body. Tensed muscles often remain tightened and do not automatically relax. Tensed muscles trigger irritability, which tenses more muscles in a vicious cycle. You can learn exercises, which can instantly relax your muscles. A relaxed body reduces the prospect of anger, or despair, bringing you closer to effective mind control. You have an acceptable life plan and a relaxed body. Even then, traffic snarls, rude colleagues and delayed trips can trigger transient visceral responses. Stress triggers the production of the adrenal hormone cortisol, which supports bodily functions designed to cope with the fight or flight response, including increased heart rate. Simple exercises can disperse the adrenaline and dissipate petty concerns. An awareness of such concerns and swift responses to the consequent subtle symptoms will bring you closer to effective mind control. The nosebrain was the original investigator of the environment for primitive animals. Breathing in consciously was a part of that routine. Investigation also required the avoidance of premature emotional judgments. In its vast coded wisdom, nature stills emotions, when you investigate. As a byproduct of that logic, your emotions will also be stilled, when you consciously breathe. This website presents a few breathing exercises, which are effective in stilling emotions. Your mind can switch viewpoints from raw fear to quiet comfort within milliseconds. As an example, the switch could happen, when your realize that a snake in the garden is only a garden hose. Your brain has a multistage recognition process. In just 20 ms, it evaluates the hose outlines, links it to a snake and triggers raw fear. It takes 350 ms for your prefrontal regions to identify the hose and still the fear. Those regions focus the mind to recognize the folly of most of your emotions and to still them. The Buddhist practice of mindfulness meditation helps you to focus those regions for effective mind control. In the garden hose case, your mind perceives, does a rough approximation, triggers the emotional response of a knot in your stomach, or a tension in your neck, then does secondary recognition and finally becomes quiet. The Buddhist meditation is a self awareness process, which focuses the prefrontal regions on the knot or the tension you feel. Self awareness anables those regions to come to perceive most emotion signals as false alarms and to still them. That leads to the sudden appearance of a surprising and unemotional viewpoint. That is the first real signal of your success in effective mind control. If your viewpoint changes, you have reached. Your highest level of consciousness is taking control. Climbing to the top has no meaning, if you don't know when you have actually reached there. You have to savor the feeling. At the top, there is no restlessness about life, resentments, guilt, regrets, or fears. You may almost feel that something is missing in your life! Like observing life from empty outer space. RB, a simple investigative intelligence will have taken charge. Recognize the feeling to give it concrete existence. Just as an animal discovers an escape route within milliseconds, your mind has subconscious drives, which intuitively search and locate solutions. If you are stumped, it is because your mind has no answer within its massive database. Your idea will strike the moment it gathers fresh information, or sees a view from a different context. Forcing your mind to search yields only negative emotions. Relax, study the problem, evaluate alternatives and, suddenly, your mind will find the answer. With success in effective mind control, you will learn to patiently trust your mind for answers. You have reached. At the highest rational level, you occupy a simple observation mode and effortlessly still the attacks of fear, resentment or anger. Now, encourage the emotions of wonder, love and compassion to enter your mind. These are normal pattern recognition signals, earlier suppressed by negative emotions. You can hardly enjoy a sunset, when you feel awful. Unless inhibited, neural circuits will automatically trigger pleasure when you see a flower, or listen to a song. Each person finds his/her own joy. Unhindered, those emotions will flow in effortlessly. Joy is the ultimate gift of life. It is the best answer to the cynical question - "Is life worth living?"